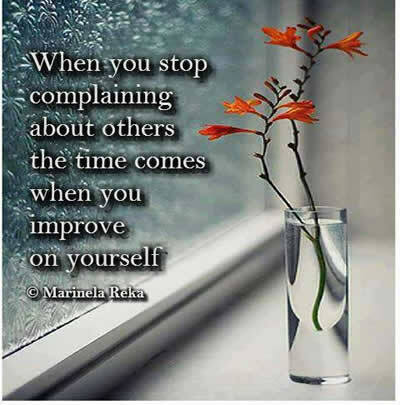 In the end ,people will judge you anyway .Don’t live your life impressing others . 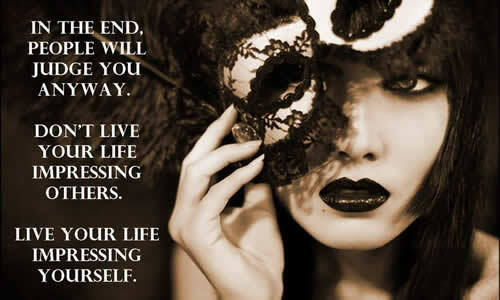 Live your life impressing yourself. 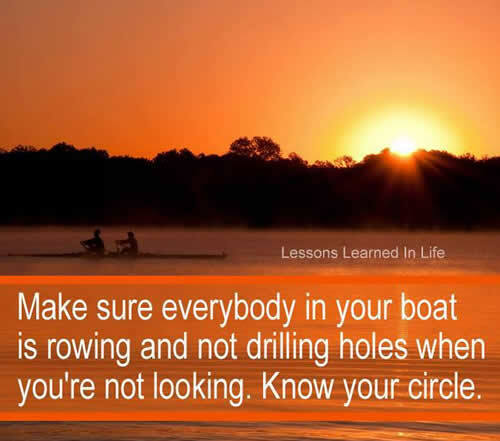 Make sure everybody in your boat is rowing and not drilling holes when you,re not looking. Know your circle . 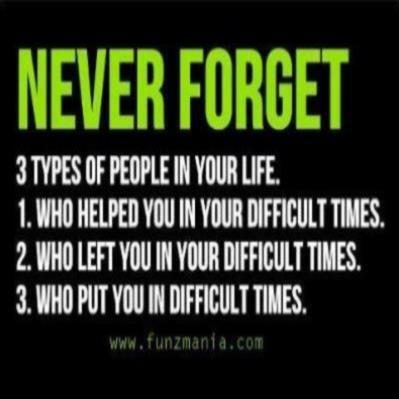 Never forget 3 types of people in your life .1. Who helped you in your difficult times.2.Who left you in your difficult times.3. who put you in difficult times. 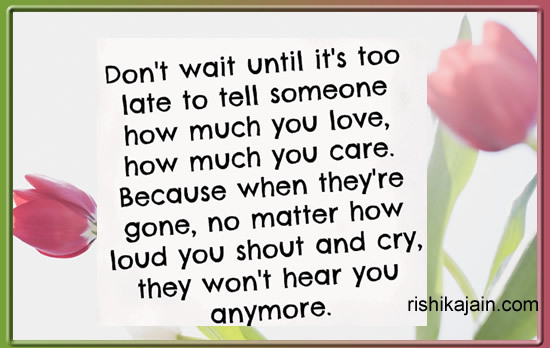 Don’t wait until its too late to tell someone how much you LOVE ,how much you CARE. 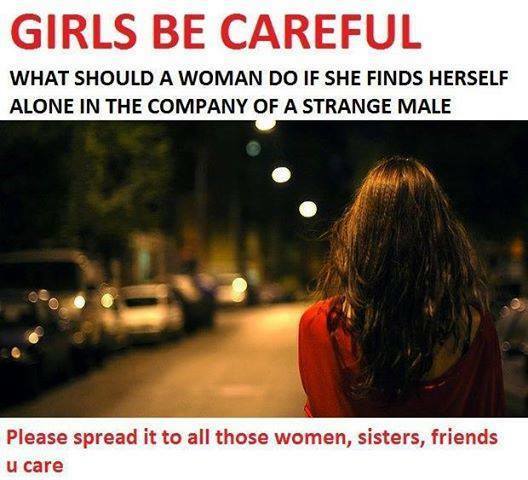 Because when they’re gone no matter how loud you shout and cry ,they won’t hear you anymore.